Can the gluten-free diet help your Parkinson's disease? Some people with Parkinson's disease believe they might alleviate some of their symptoms—or even slow the course of their disease—by following the gluten-free diet. However, despite what you might have read online about the gluten-free diet, there's unfortunately no medical evidence to back the theory that it might help with Parkinson's disease. In fact, medical research indicates people with Parkinson's disease are no more likely than other people to have celiac disease. Celiac disease requires people to go gluten-free because ingestion of the protein gluten (found in the "gluten grains" wheat, barley, and rye) damages their small intestine. There's also currently no medical evidence that people with non-celiac gluten sensitivity—a condition in which people react to gluten-containing foods but do not have celiac disease—are more likely than average to develop Parkinson's disease. However, research on gluten sensitivity is in its infancy, and no studies have looked specifically to see whether it might be linked with Parkinson's disease. So for the vast majority of people, evidence shows that the gluten-free diet most likely won't help improve Parkinson's symptoms or slow the course of the disease. However, there are a few isolated cases where it's possible that going gluten-free might help someone who has been diagnosed with Parkinson's disease. Read on to learn more. Parkinson's disease is a progressive condition with symptoms that include tremors, balance problems, slow movements, and stiffness. As the disease progresses, people with Parkinson's may have trouble speaking, and could experience mild cognitive impairment. Doctors don't know what causes Parkinson's disease. A small minority of cases appear to be linked to genetics, but the majority likely are caused by something in the environment. Age is an important risk factor: older people are at higher risk for developing Parkinson's when compared to younger people. However, it's still possible (although not common) to develop Parkinson's disease when you're younger than age 50; those cases are more strongly linked to genetics. People with Parkinson's disease will be prescribed medications that can lessen their symptoms. However, since there's no cure for Parkinson's disease and the treatments don't always work perfectly, people who have the condition often consider trying alternative measures, including dietary measures. That's where the gluten-free diet has come in. A few early studies did suggest that celiac disease might be linked with Parkinson's disease and other neurological diseases, including Alzheimer's disease and dementia, Huntington's disease, and Lou Gehrig's disease (also known as amyotrophic lateral sclerosis). However, those suggested links haven't always panned out—for example, the evidence to date indicates that gluten ingestion doesn't raise your risk of dementia if you have celiac disease or non-celiac gluten sensitivity. A similar pattern has played out with the suggested link between Parkinson's and celiac disease. Despite some earlier research hints that suggested a possible link, a more comprehensive study found no such link. That population-based study, based on data from Sweden's national health registry, looked at 14,000 people with a diagnosis of celiac disease, comparing them to 70,000 similar people who didn't have celiac. The study didn't find a statistically significant association between celiac and several neurological conditions, including Parkinson's disease, and concluded that the two conditions are not linked. When Could the Gluten-Free Diet Help in Parkinson's? In one or two instances, clinicians have reported that the gluten-free diet resulted in symptom reduction in people who either had been diagnosed with Parkinson's disease, or who had many of its signs. In one case, a 75-year-old man had increasing symptoms of Parkinson's disease, including instability, rigidity, fatigue, and slowness of movement. The man ultimately was diagnosed with so-called "silent celiac disease"—celiac disease that occurs without any overt symptoms but with the characteristic intestinal damage—and saw "dramatic improvement" in his Parkinson's symptoms once he started the gluten-free diet. This certainly sounds promising, but remember that celiac disease affects fewer than one in every 100 people, and silent celiac disease is rarer still—most people have some celiac disease symptoms. So unless you have symptoms of celiac disease or a family history of the condition, you probably don't have it. There also is evidence that the gluten-free diet can help in the case of gluten ataxia. Gluten ataxia is a neurological disorder that can cause problems with your gait, tingling in your arms and legs, and unsteadiness. People with gluten ataxia experience symptoms that can, in certain cases, mimic those of Parkinson's disease. However, gluten ataxia is believed to be an extremely rare condition, and there's currently no way to test for it. Parkinson's disease is a complex brain disorder with difficult, progressive symptoms, so it's understandable that people would want to explore dietary and other potential treatments. However, the available evidence shows that the gluten-free diet won't help the vast majority of people with Parkinson's disease. If you have Parkinson's and you believe you may also have symptoms of celiac disease, talk to your doctor about having celiac disease testing done. 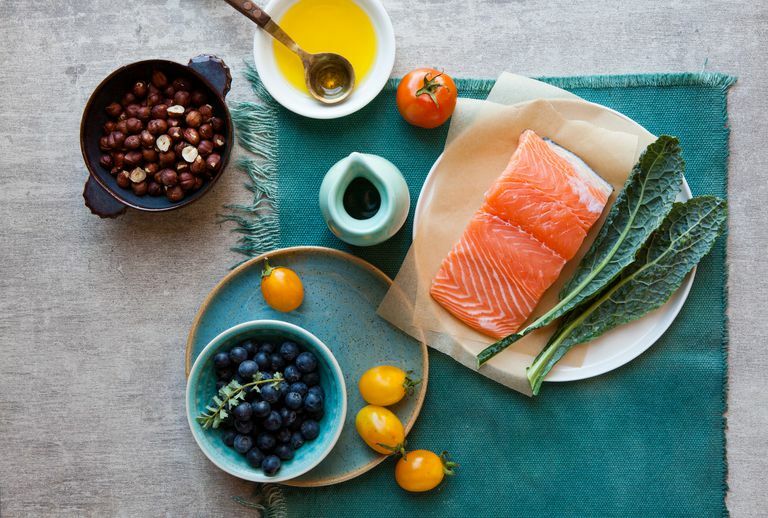 And if you want to incorporate dietary measures that might help your Parkinson's disease, especially in the earlier stages of the condition, consider eating foods that are rich in antioxidants, such as fruits and vegetables, along with foods that are high in omega-3 fatty acids, like salmon. Di Lazzaro V et al. Dramatic Improvement of Parkinsonian Symptoms after Gluten-Free Diet Introduction in a Patient with Silent Celiac Disease. Journal of Neurology. 2014 Feb;261(2):443-5. Ludvigsson JF et al. A Population-Based Study of Coeliac Disease, Neurodegenerative and Neuroinflammatory Diseases. Alimentary Pharmacology & Therapeutics. 2007 Jun 1;25(11):1317-27. How Does Parkinson's Disease Affect Sexual Function?